Right-wing supporters are trying to learn from similar campaigns in France and the Netherlands. 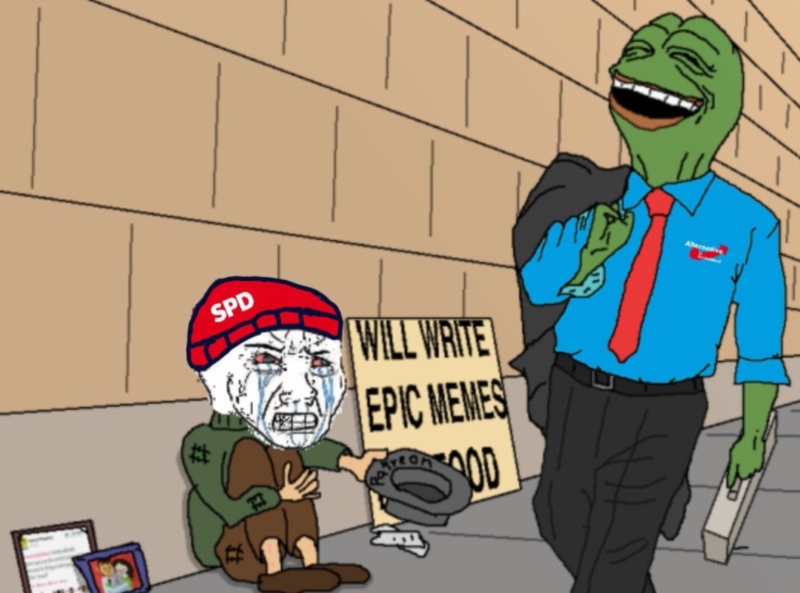 German users on 4chan are currently making plans to start a “meme war” that would influence the outcome of the upcoming German election. They hope to organize an online campaign that would swing the election this month in favor of the country's right-wing populist party, Alternative für Deutschland (AfD). The discussion about German election memes has been taking place across several posts on 4chan’s “Politically Incorrect” message board. Their goal is to suppress votes for competing parties and demoralize left-wing activists. They plan to launch their "meme war" three weeks before the September 24 election. So far, though, the 4chan users don’t seem to have much prepared. 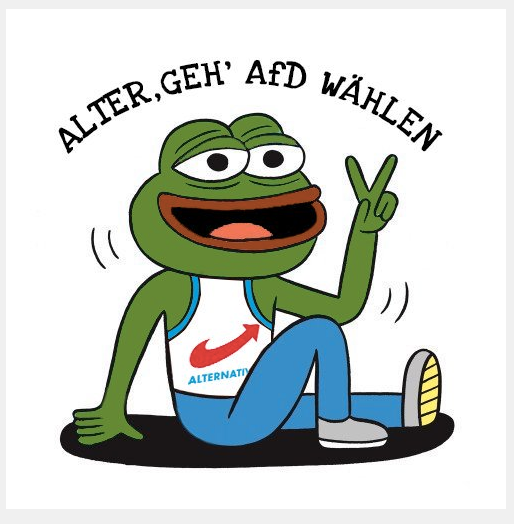 They've created an archive of about 270 memes that users can spread in support of the AfD, a list of political events the group wants to influence, and YouTube videos about far-right German politics that users can share. The pro-AfD posters are drawing inspiration from right-wing campaigns abroad. They talk about learning from previous meme wars, such as in France when far-right trolls tried and ultimately failed to spread memes and disinformation in an attempt to influence the outcome. 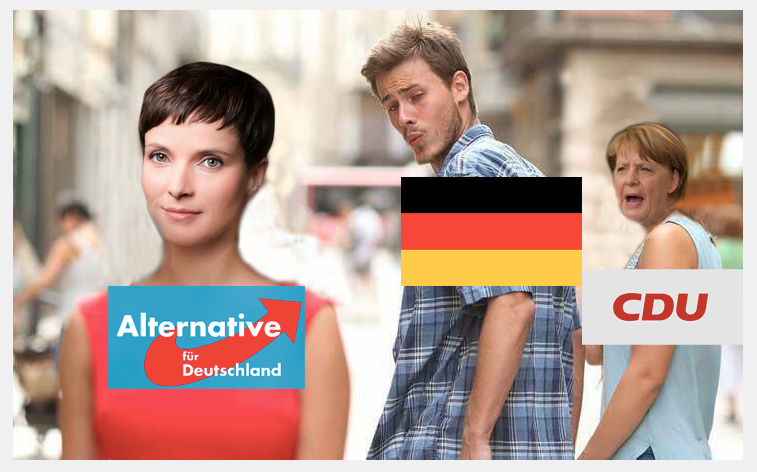 AfD has been sliding in the polls and is currently tied for fifth place with the Green party. 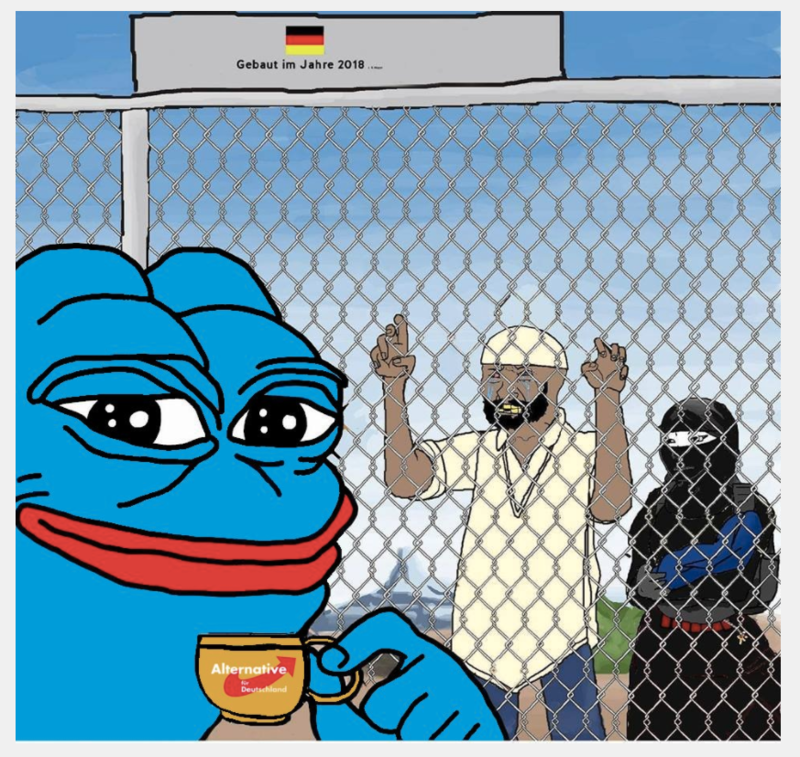 Unlike trolls during the French election, German 4chan users don't appear to be doing much outreach to American Trump supporters. Save for a few posts, the 4chan thread is mostly in German. And there seems to be an overall lack of knowledge about how to get their message beyond the 4chan echo chamber. In a section called “meme jihad,” users link to some YouTube videos that could help teach other people how to go viral on the internet. This one, for example, was marked as compulsory viewing. Users are also encouraging people to donate money or volunteer as campaign workers — something not usually seen in previous meme warfare campaigns leading up to the US, Dutch, and French elections. It's not clear if there is any official link between the party and the 4chan campaign. AfD did not respond to a BuzzFeed News inquiry. The meat of their plan is uploading far-right memes to public image galleries that they can share around on places like Reddit and Discord. Most of the memes though are just rehashes of popular far-right symbols from the US far right, like Pepe the Frog. 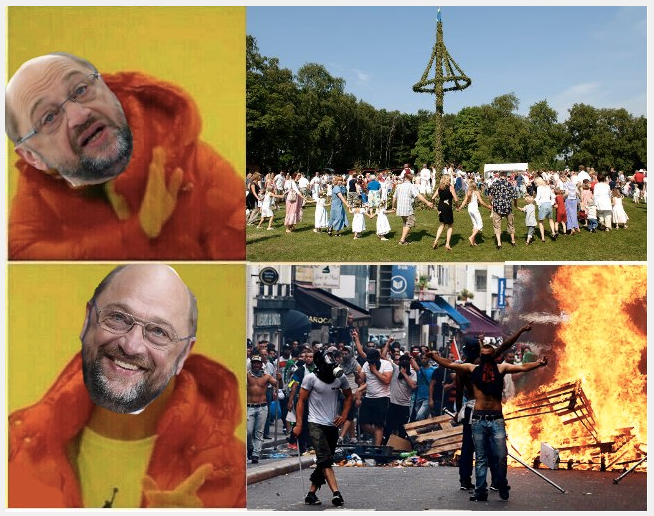 It should be noted that, at least right now, these memes don't appear to be actually going viral on mainstream German social media. The meme archive includes crass illustrations, like one that shows Chancellor Angela Merkel and German comedian Jan Böhmermann being put in a chamber while someone pushes a button that says “gas." Other pictures mimic election posters. 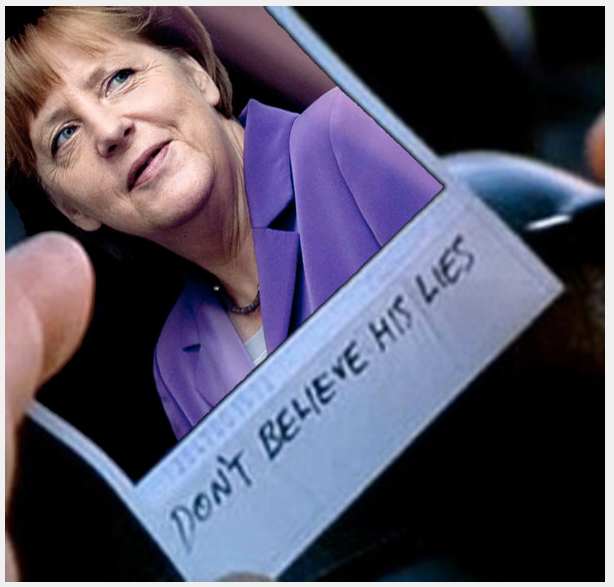 One fake election poster inspired by Merkel's campaign says, “Islam and Bundeswehr [the German armed forces]. A strong team for Germany” and shows the minister of defense with a group of women wearing hijabs. 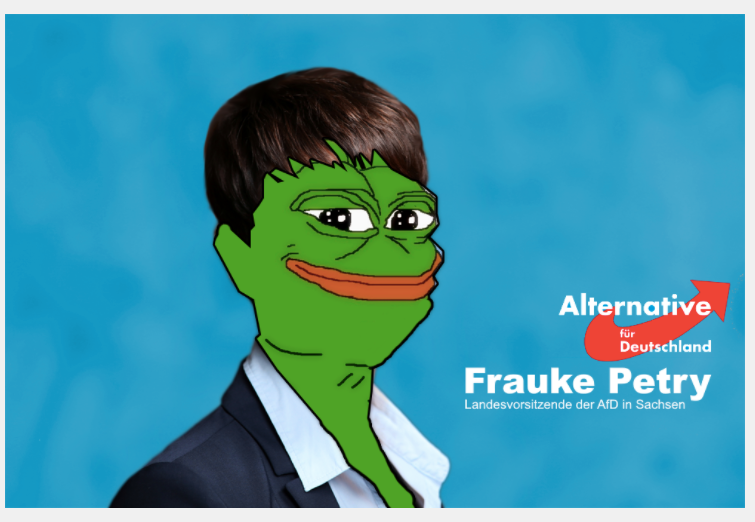 German 4chan users have also their mascot, an anime figure resembling AfD Chairwoman Frauke Petry. The 4chan thread cites a Twitter account called @AfD-Chan as being its official voice. BuzzFeed News messaged the account and the person who answered said the memes are a way for supporters to help make AfD positions easily understandable for the public. “You have to keep in mind that Germany is not free," said the person behind the account. "The lying media is trying to perpetuate their ideas of cultural Marxism and to further the genocide of whites. Angela 'state mosque not AfD' Merkel is not my chancellor. You have to convey that somehow." They refused to answer further questions and would not give their name. It is unclear how they cooperate with the 4chan movement or the AfD. It's unclear if this sort of online campaign will crack through into the mainstream in Germany, especially this close to the election. Before France's presidential election, French far-right trolls attempted to organize with Trump supporters, teaching English speakers how to appear French on social media, in an effort to create the illusion that Marine Le Pen's National Front was the strongest party. They spammed comment sections of news stories, created memes with sly far-right references, spread misinformation about Emmanuel Macron, and then eventually hacked Macron in the last hours before the final vote. So far, nothing in the initial 4chan threads about the German election indicates that they are organized enough to really make a dent. But with several weeks before the election, anything is possible. “We don’t want the same thing to happen to us that happened in France and the Netherlands,” wrote one user, referring to the election defeats of far right politicians Le Pen and Geert Wilders. Read this post in German here.